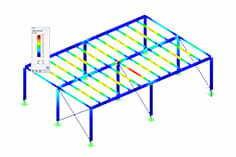 Is it possible to parameterize models and loads with RSTAB and RFEM? If projects or individual modules of a model resemble each other, it makes sense to parameterize the model or the modules. Formulas can also be used for the individual "parameters". If a parameter in the respective formula is changed, the model is adjusted in the background. For the parameters are various variables to choose from such. As cross sections, loads, angles, lengths, surface thickness (see picture). 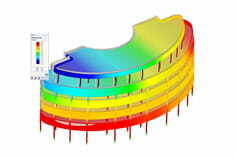 See the downloads below for an example file with the parameterized model of a simple design.